Some people might find it hard to believe that intentionally running into turrets can possibly be considered a non-bannable strategy. However, the latest FOTM craze may be the weirdest yet. It involves picking Sion, building no boots, and repeatedly running yourself into the enemy turret mid to late game. Of course, you don't want to start dying from level one, but your goal is to prioritize map pressure and create openings for your team. Since you just ult/TP into lanes, this version of Sion also does not need to build boots. One of Sion's biggest perks is the ridiculous amount of damage that he can dish out even after dying. This means that even if he suicides to tower, he can burn a massive amount of tower health without giving the enemy team a kill. If his Demolish is up, this can easily end up being half the turret's health in one go. As one of the tankiest champions in the game, killing Sion is no easy task. 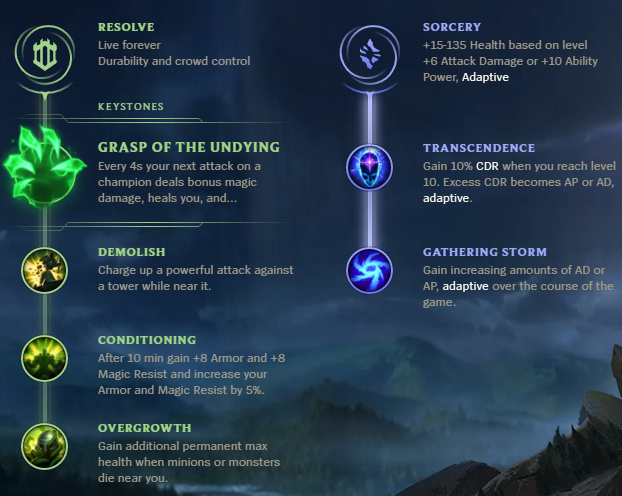 When you combine Sion's already formidable constitution with the damage burst from Sterak's Gage, Sion draws a ton of pressure since there are few champions that can solo him safely. This map pressure generates tower gold for his teammates and also allows them to accomplish objectives in other parts of the map. One of Sion's best perks is his ability to clear waves extremely quickly even without offensive items. This means that even when he's dying, he's already picked up his wave's minions and is denying the enemy champions CS if they're hitting him instead of CSing. Meanwhile, since he's not item dependent to begin with, he can feel much tankier than his score would indicate. While it's also on the Sion to pick good times to go all-in on turrets, his teammates also need to be doing *something* on the map to make his deaths worthwhile. If his teammates don't do anything while Sion's pulling aggro to his lane, this strategy is definitely not as effective. 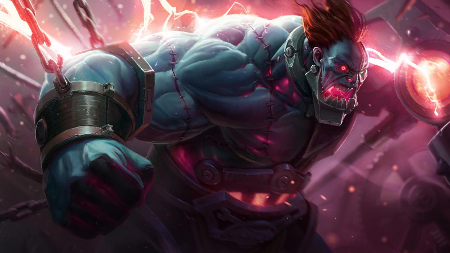 This Sion build skips boots in order to maximize his tankiness and tower killing capabilities. This means that once you commit to crushing towers you won't be able to run away unless your ultimate is up...which generally it won't be unless you teleported to lane. Ever since this latest craze came out, many players have asked Riot what their stance is on "Inting Sions". Turns out, they're okay with it considering the strategy actually works pretty well. On the other hand, if we start seeing a fast fall in Sion's win rate this position may quickly change. This strategy probably won't be very fun for the enemy team or your teammates if they're not on board with what they're suppposed to do while you're dying. Meanwhile, if everyone accepts the strategy, it actually works quite well and is difficult to stop.